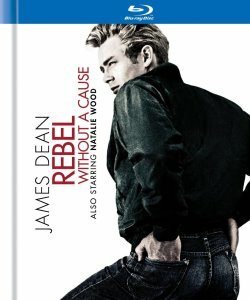 Description: In one of moviedom's most influential roles, James Dean is Jim, the new kid in town whose loneliness, frustration and anger mirrored those of postwar teens -- and reverberates 40 years later. This landmark juvenile-delinquent drama scrupulously follows the classic theatrical disciplines, telling all within a 24-hour period. 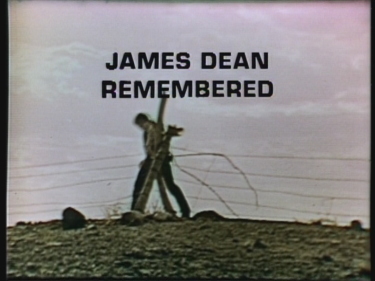 Teenager Jimmy Stark (James Dean) can't help but get into trouble, a problem that has forced his appearance-conscious parents (Jim Backus and Ann Doran) to move from one town to another. 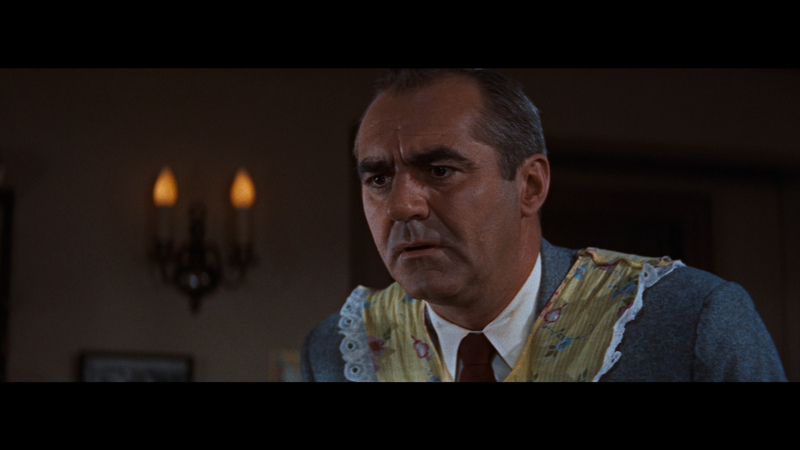 The film's tormented central characters are all introduced during a single night-court session, presided over by well-meaning social worker Ray (Edward Platt). Jimmy, arrested on a drunk-and-disorderly charge, screams "You're tearing me apart!" 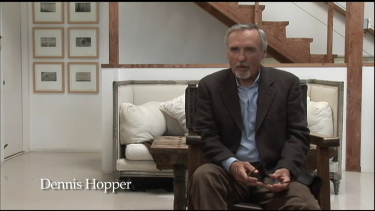 as his blind-sided parents bicker with one another over how best to handle the situation. 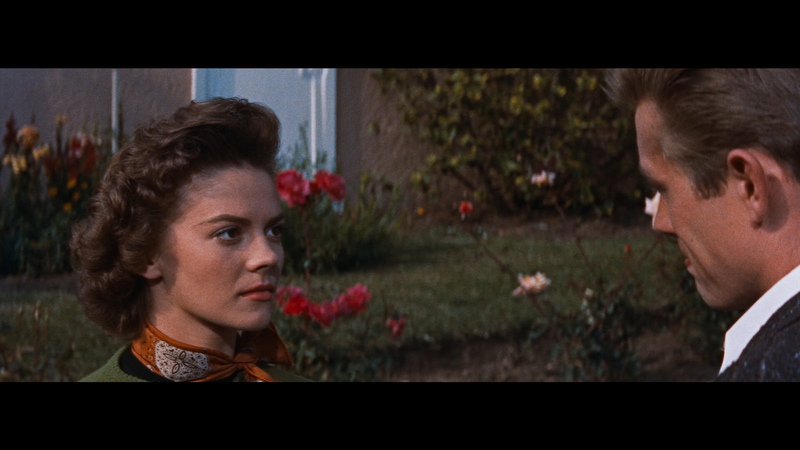 Judy (Natalie Wood) is basically a good kid but behaves wildly out of frustration over her inability to communicate with her deliberately distant father (William Hopper). (The incestuous subtext of this relationship is discreetly handled, but the audience knows what's going on in the minds of Judy and her dad at all times.) 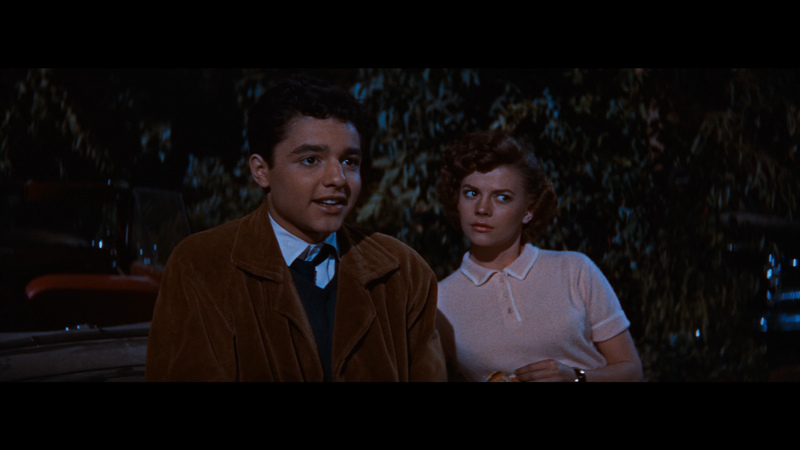 And Plato (Sal Mineo), who is so sensitive that he threatens to break apart like porcelain, has taken to killing puppies as a desperate bid for attention from his wealthy, always absent parents. 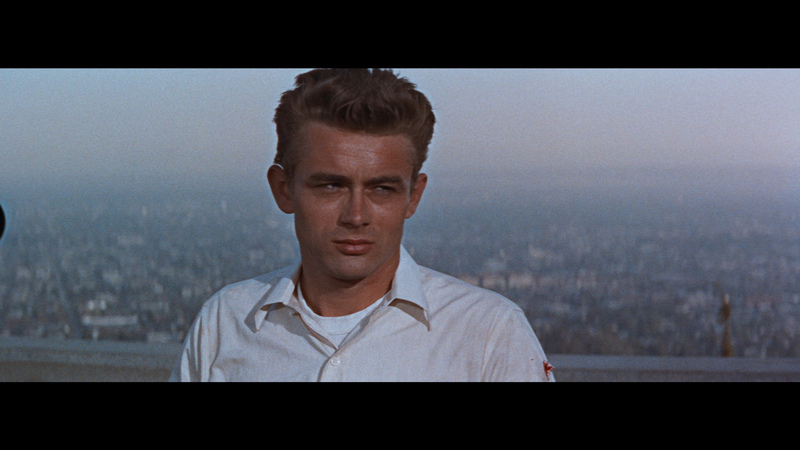 Dean's finest film, hardly surprisingly in that Ray was one of the great '50s directors. The story, much imitated since, might sound like nothing much - unsettled adolescent from good home can't keep himself out of trouble, and gets involved with bad sorts until tragedy takes over - but what makes the film so powerful is both the sympathy it extends towards all the characters (including the seemingly callous parents) and the precise expressionism of Ray's direction. 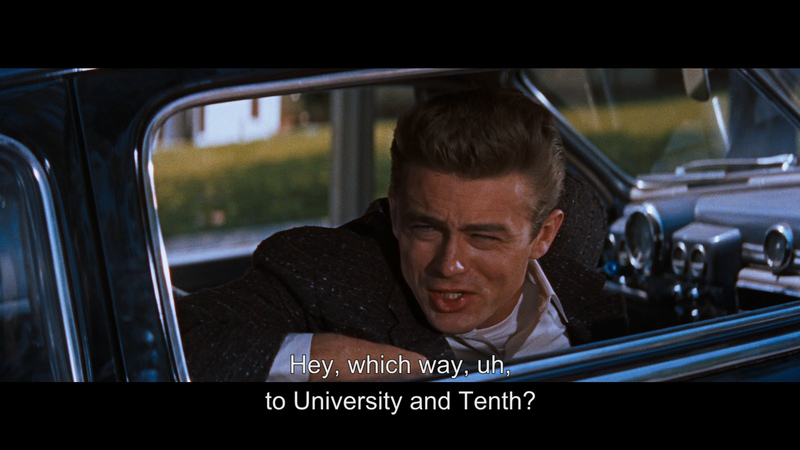 His use of light, space and motion is continually at the service of the characters' emotions, while the trio that Dean, Wood and Mineo form as a refuge from society is explicitly depicted as an 'alternative family'. 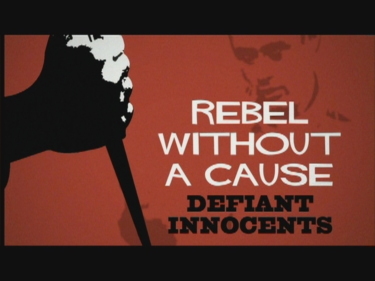 Still the best of the youth movies. 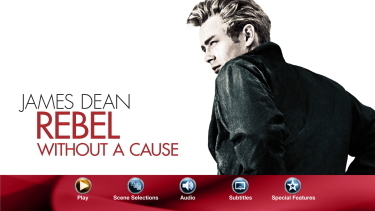 Rebel Without a Cause has been transferred to Blu-ray from Warner. There are some marked differences from the past SD renderings - and we have included a few comparative captures as evidence. 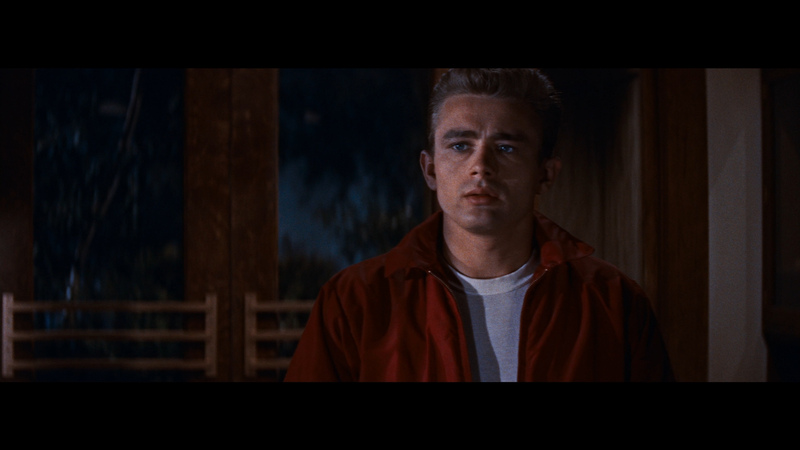 Notably the overall film is darker and skin tones both warm and seem to become more natural via Blu-ray. 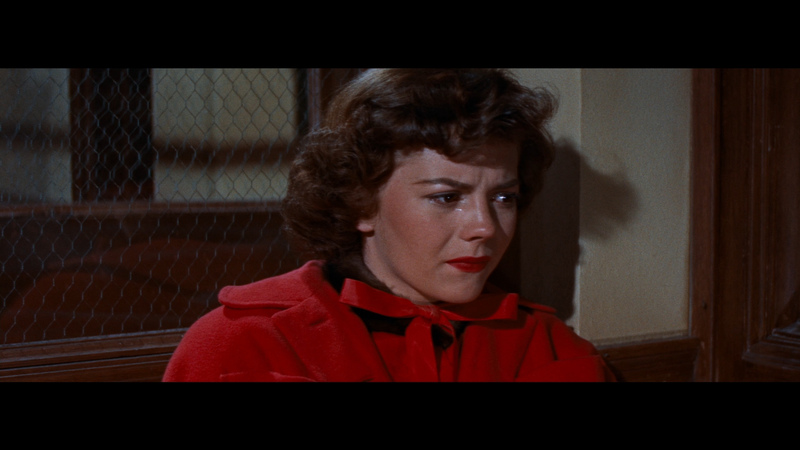 Colors seem brighter and truer than SD could relate (red of Judy's sweater notable). 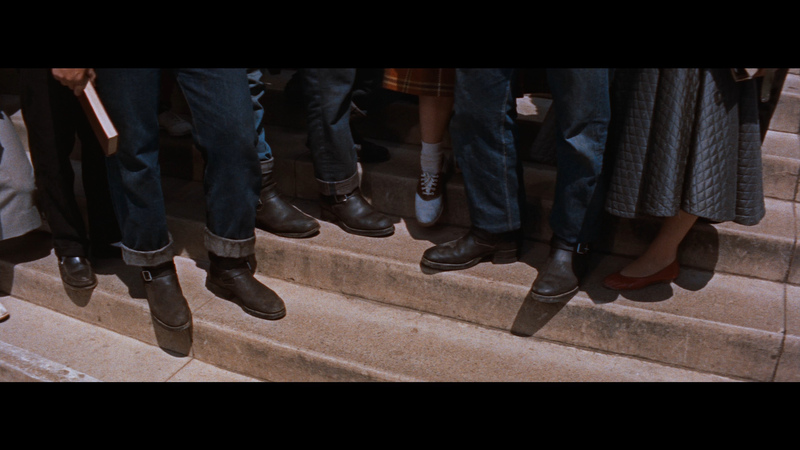 Another feature I noticed about the 1080P is that is exhibits the 'Cinemascope mumps' phenomenon (like the original DVD!) with a slightly horizontally stretched appearance. I believe this may be theatrically authentic. 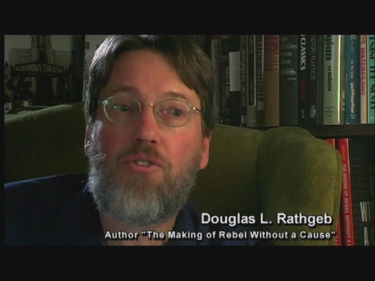 The Blu-ray visuals also seemed to be cropped a shade on the right edge. 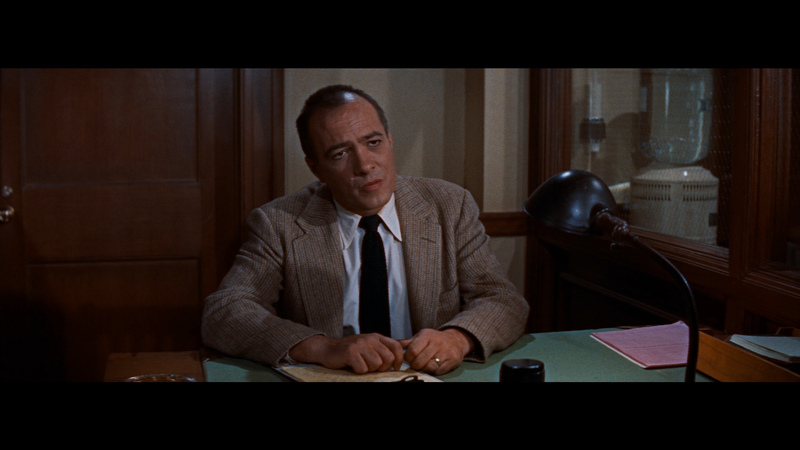 The SD had some unusually colors - perhaps some green infiltration (see Jim's shirt in the police station). Like Giant the image is neither glossy nor crisp but as a comparison to previous versions - it is, more... pleasing. 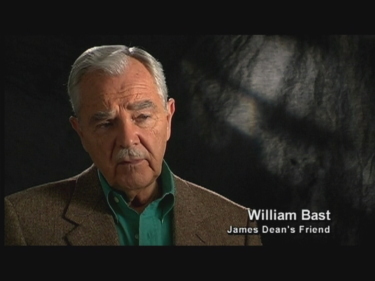 Boosting on the part of the SE DVD seems more obvious now. Despite being desirous of tighter visuals I still appreciated the HD presentation. We only seem to get a bump - a lossless DTS-HD Master 5.1 surround at healthy 3424 kbps. 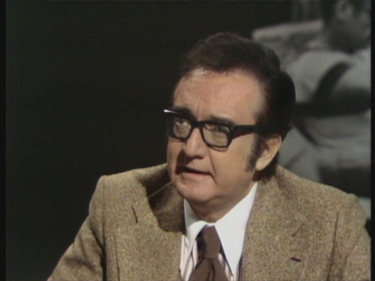 There are a number of foreign-language DUBs available in mono. 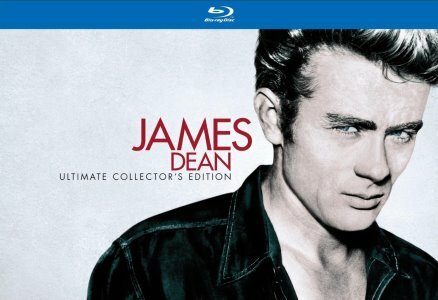 Just like the SD Dean Boxset (and SE's DVDs) we lose the original for this, and most probably East of Eden. 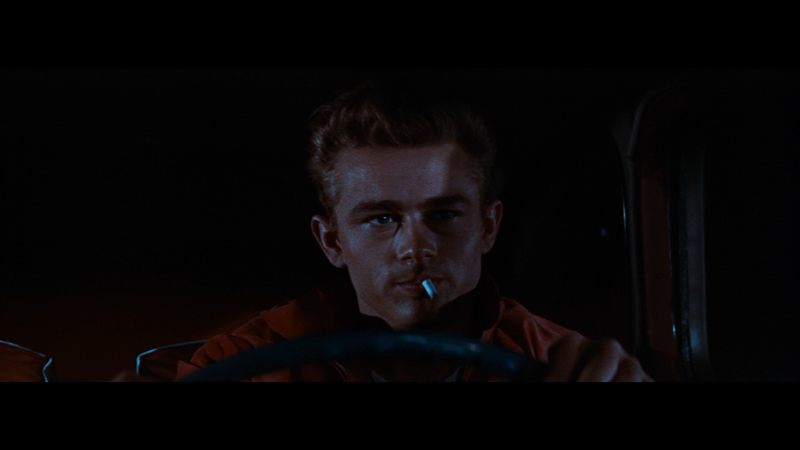 Sound quality is strong with the car's roaring engines sounding full of intensity. The score by Leonard Rosenman (The Rise and Fall of Legs Diamond, Fantastic Voyage and A Man Called Horse) seem to benefit from the uncompressed with a crisp high-end and there are plenty of optional subtitle choices. 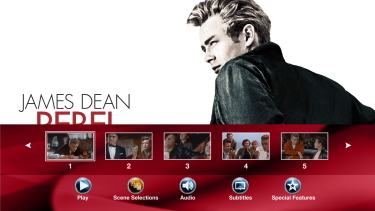 My Oppo has identified it as being a region FREE disc playable on Blu-ray machines worldwide. 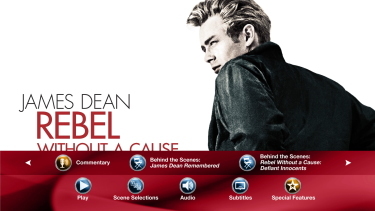 I believe these are all the same extras from the last DVD with the commentary by Douglas L. Rathgeb (author of The Making of Rebel Without a Cause), 3 Behind the Scenes video pieces - James Dean Remembered (1:06:22), Defiant Innocents (36:30) and Dennis Hopper - Memories of the Warner Lot running 10-minutes. 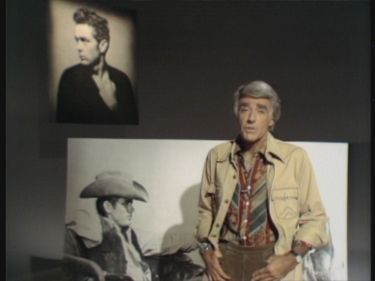 There are also the Screen and Wardrobe Tests, both color and black and white deleted scenes without sound. 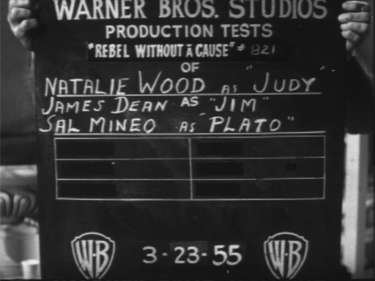 There are some vintage interviews with Natalie Wood (7:57), Jim Backus (5:47), James Dean (7:44) and lastly a theatrical trailer. The package is in another handsome book-style case with 46-pages of color photos, advertising and text data. 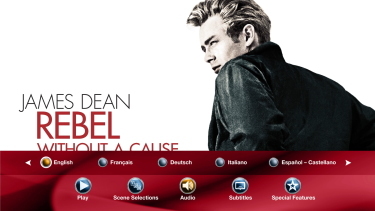 Having just seen Giant - I was in prime James-Dean-mode and seeing Rebel so much improved from the past DVDs was a treat. 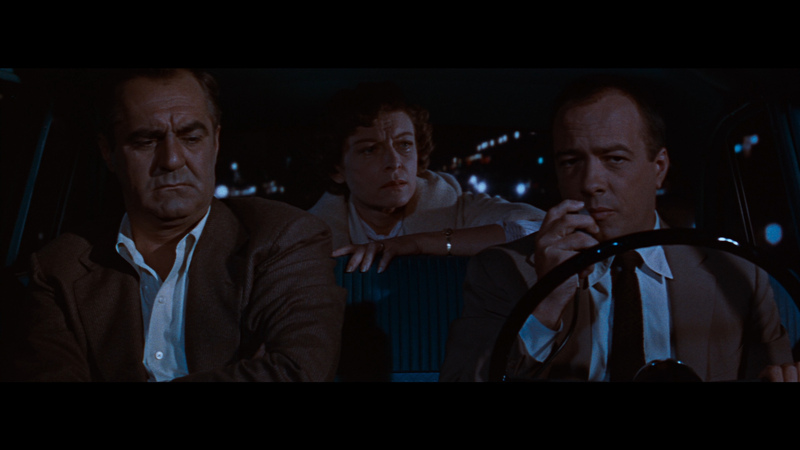 Ray adds another enigmatic relationships (Judy and her father) to counter Jim and his parents. I saw some new style-related elements in the higher resolution. 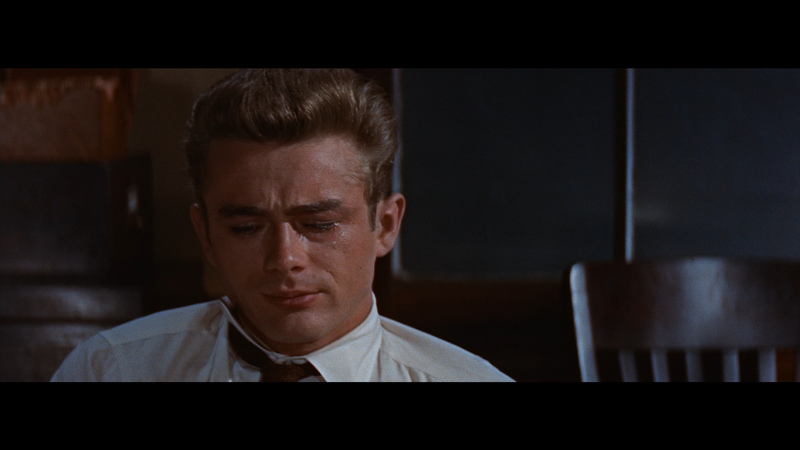 The Warner Blu-ray may not reach modern levels of tightness - it still has a film-like presentation with a richness devoid in other digital presentations. I think the upgrade is, certainly, worth it.